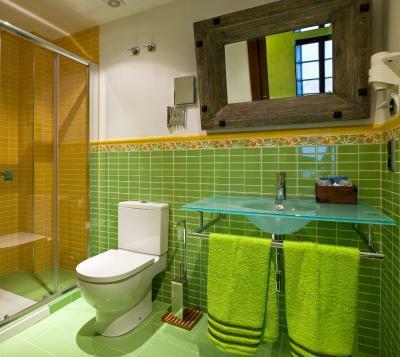 Lock in a great price for Hostal Raices – rated 9.2 by recent guests! The best shower I have ever had in a hotel room. 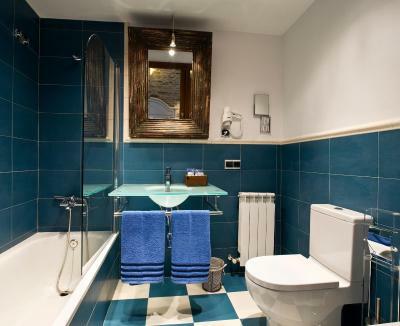 In a great location right on the edge of the old town. The rooms were beautiful!! The bathroom was perfect, with an absolutely amazing shower. The beds were super comfy as well. It was in walking distance to absolutely everything, with great resturants right across the street! It's a wonderful location for walking up to the old town. We were able to park our car outside the hotel when a park became free. 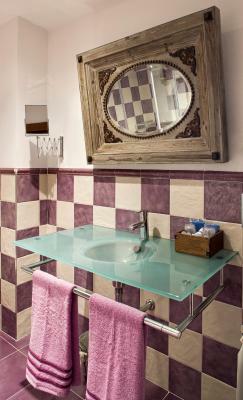 Our one night stay was comfortable and the shower very good, bathroom spotless. The room was compact so nowhere to sit other than on the bed. 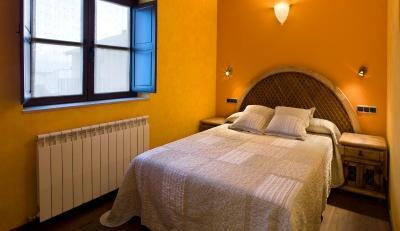 Central location, easy to park the car, friendly staff, very clean and comfortable room and beds. Very clean room. Delightful town. Helpful hostess. Friendly owner, Quiet but handy location for the Pueblo - a very interesting place. Good choice of bars, etc, to hand. La decoración acorde con el entorno. Detalles en la habitación e indepencia para entrar y salir. La atención excelente. Unos detalles q jamás hemos encontrado en alojamientos con mas estrellas. La habitación naranja espectacular. La almohada y el colchón lo mejor del mundo una auténtica pasada. Los albornoces un detallazo increíble y lo más con la nevada que nos cayó poder regular la calefacción a nuestro gusto. La ducha de hidromasaje genial. Tienen un salon común con televisión y un sofá muy acogedor. El alojamiento recomendable si o si. 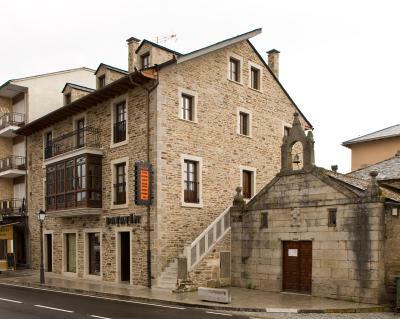 Si volvemos a Puebla de sanabria sin duda volveremos a quedarnos en este hostal. Enhorabuena por tener un alojamiento con tanto encanto y tanto mimo. La atención buenísima, amabilidad en el trato y facilidades e información del lugar de todo tipo. El próximo viaje a Puebla de Sanabria, repetiré. La limpieza y el confort, a destacar la temperatura tan agradable de la habitacion y el trato del personal. 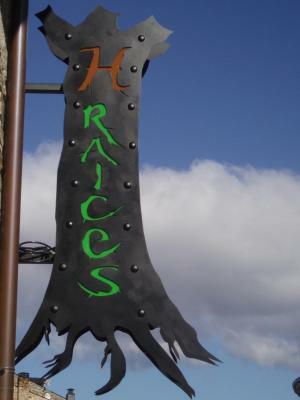 Hostal Raices This rating is a reflection of how the property compares to the industry standard when it comes to price, facilities and services available. It's based on a self-evaluation by the property. Use this rating to help choose your stay! 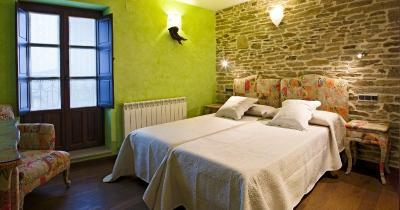 One of our best sellers in Puebla de Sanabria! 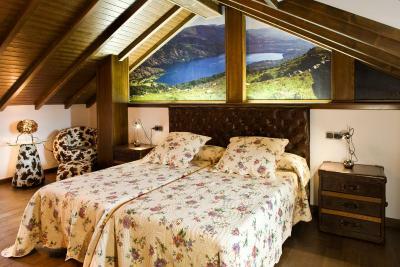 Hostal Raices is located in Puebla de Sanabria and offers free Wi-Fi. 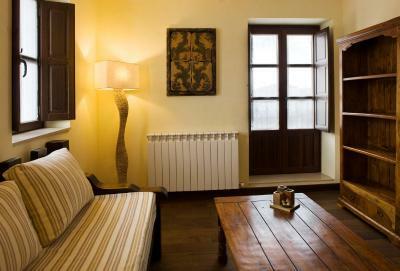 Set on the 2nd floor of a historic building, it is 5 minutes’ walk across the River Tera from the castle. The rustic heated rooms have a TV. 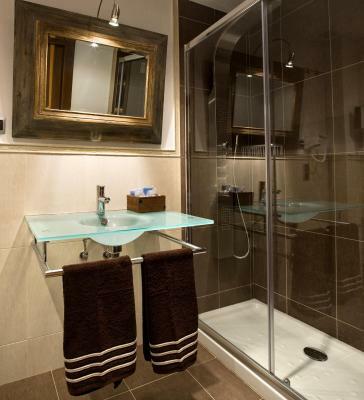 The private bathroom comes with a shower, hairdryer and toiletries. Most have a hydromassage shower. Luggage storage is offered. There is a tour desk and free parking is available nearby. The A52 Motorway is easily accessible and the border with Portugal is 13 mi away. 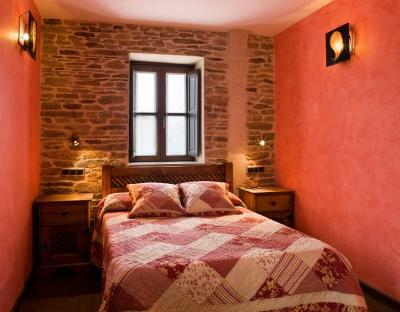 This property also has one of the top-rated locations in Puebla de Sanabria! Guests are happier about it compared to other properties in the area. This property is also rated for the best value in Puebla de Sanabria! Guests are getting more for their money when compared to other properties in this city. 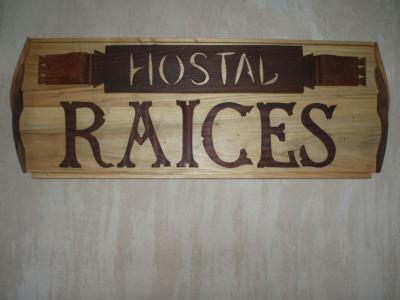 When would you like to stay at Hostal Raices? 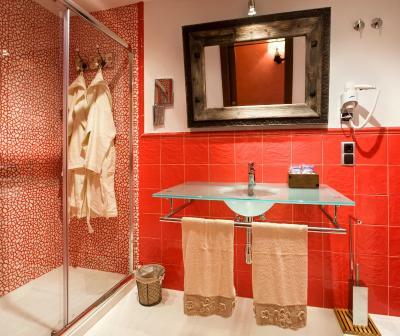 House Rules Hostal Raices takes special requests – add in the next step! Hostal Raices accepts these cards and reserves the right to temporarily hold an amount prior to arrival. More pillows for the bed please. It's unfortunate the town has many roaming cats that squawk all night long. We had our window open for fresh air but had to close it (double glazed which is good) to keep out the noise. Lot of steps to go up, first to reception then to room. The heat in the room was unbearable, also there was a lack of towels in the bathroom. 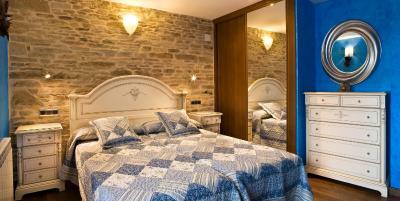 The staff were friendly and the room was clean. The only complaint is that there's no air conditioning and I was there in early June, meaning it was pretty hot. But there were fans in the room! A bit noisy at night, directly above a bar. Could be problematic getting your room, if the owner is not about.